Naked Man Orchid is a species of orchid native to the Mediterranean. They are widely popular for their petals looking like naked men. It prefers partial shade and low nutrient soil and flowers in April. 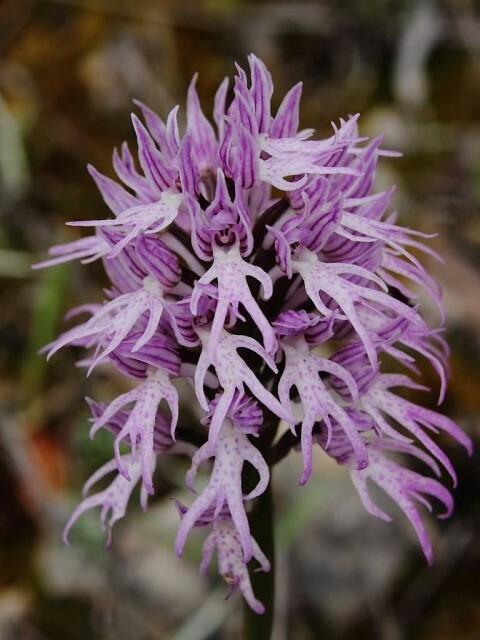 This plant grows up to 50 cm in height with bright pink, densely clustered flowers. They are found commonly and widespread in the Mediterranean in large clusters. 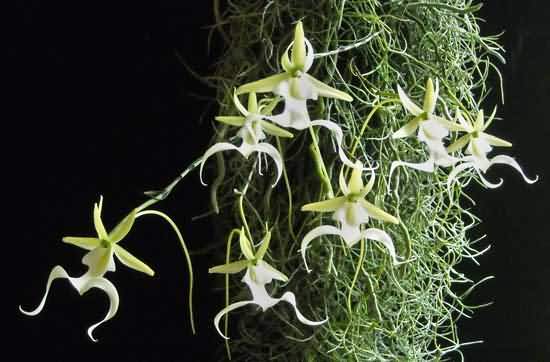 Ghost Orchid is native to Florida, Cuba and the Bahamas. 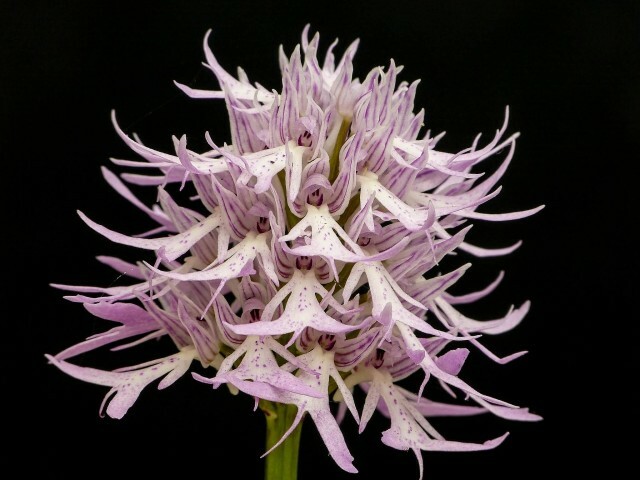 The common names include palm polly and white frog orchid. The plant has no leaves. 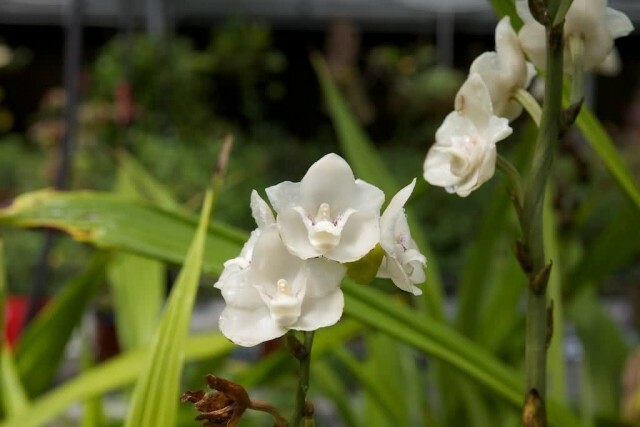 This orchid blossoms between June and August with one to ten fragrant flowers that open one at a time. During its peak fragrance emittance in the early morning, the scent is fruity, resembling an apple. 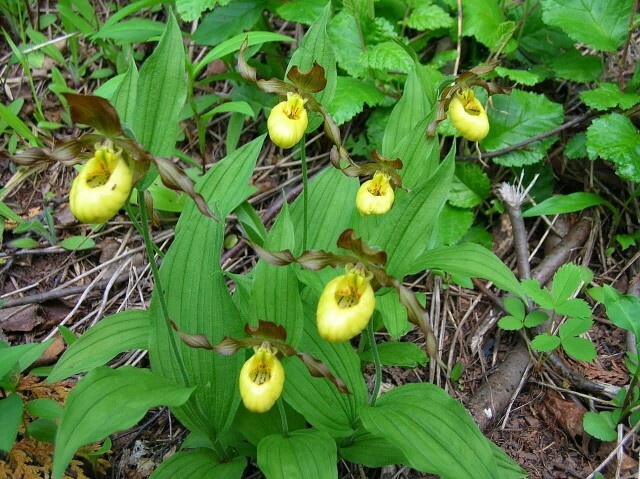 This is an endangered orchid in the wild. This flower is bloom once or twice in a year. Lady’s slipper orchids also known as slipper orchids. It has a widespread distribution from Europe east through Asia from Spain to the Pacific. It is typically is found in open woodland on moist calcareous soils. They are characterised by the slipper-shaped pouches of the flowers. 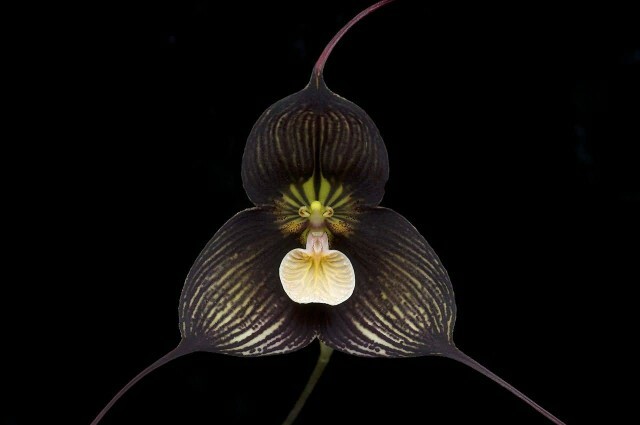 Dracula vampira is an epiphytic orchid species and endemic to Ecuador in South America. 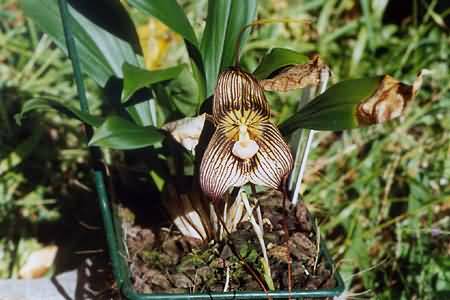 The orchid has large distinctive flowers, the sepals are rounded with the top corner pulled into a thin tail, which may extend up to 11 cm in length. The generic name of this species – Dracula means little dragon, named due to the exotic flower shape. Dracula Vampira does not grow in soil, instead of it grows on the lower sections of trees on the forested mountainside. Dove Orchid is also called as Holy Ghost Orchid. It is a genus of Peristeria. The genus name come from the Greek word peristerion meaning “from dove”. It is found across much of South America as well as in Panama, Costa Rica and Trinidad. 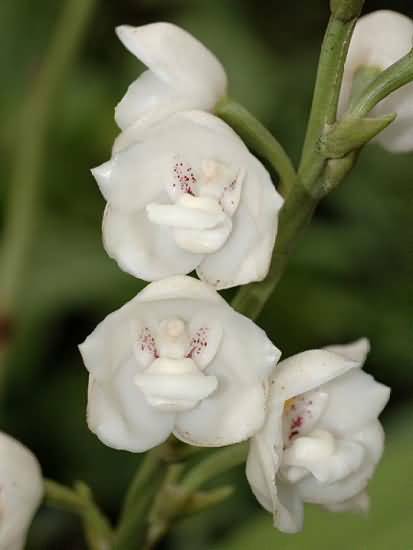 Dove Orchid is the national flower of Panama. In its native habitat, Peristeria can usually be found growing near the edge of hardwood forests. In the fall, after the trees in the hardwood forest lose their leaves, the plants are exposed to full sun throughout the cool, dry winter. Which Is The World’s Largest Amphibian?